The Russian Ministry of Defense leveled several grave charges against Israel on Sunday, Sept. 23 as having caused the loss of the Russian IL-20 plane with 15 servicemen aboard. IDF sources responded that the Russians are hiding their own military lapses with “lies” against Israel over the downing of the Russian plane by Syrian air defenses on Sept. 17. DEBKAfile: This exchange of insults is not helpful in the light of reports from a Kremlin source that President Vladimir Putin has decided not to let the negative MoD report mar his friendly ties with Prime Minister Binyamin Netanyahu, and to let its aspersions remain in the “professional” domain. (i.e. versus the IDF and IAF). The IDF was rocked back by the Russian accusations (which are summarized below.) Israeli officers had pretended optimistically that all was well between the two militaries after Air Force chief Maj. Gen. Amikam Nurkin’s briefing to Russian officers in Moscow last Thursday. Then came the Russian report, which ignored the data he presented them from the IDF investigation. DEBKAfile’ sources stress that whichever of the two armies is telling the truth and which is lying about the circumstances of the crash, overarching it all is a grave dispute that has flared between two armies belonging to opposing coalitions fighting in the same country: Russia on the same side as Syria, Iran and Hizballah; and the IDF, aligned with the US and Western allies. This is a new landscape in the constantly changing Syrian conflict and it is loaded with inflammable elements. Putin may continue to smile at Netanyahu, while at the same time directing his defense ministry to close Syrian air space against all foreign aircraft, not just Israeli warplanes. This would shut down Israel’s air campaign for eradicating Iran’s military grip on Syria – or bring it in conflict with Russian forces. This would happen if the US and Israel decided for their part, to put Putin’s directive to the test. Therefore, just as Russia’s air force is no doubt planning its next steps in Syria, so too are the US and Israel. Israel furthermore failed to warn Russia in advance about the coming operation – only just when it began, in breach of the 2015 Russian-Israeli agreements for preventing clashes between our armed forces, in and over Syria,” he said. Gen. Konashenkov then repeated his original charge that Israeli F-16 fighter jets had used the Russian aircraft as a “shield” against Syrian air defense fire. He contradicted the IDF’s claim that its jets had reached Israeli airspace by the time the Syrian missiles hit the Russian plane, maintaining that the F-16s left the area 10 minutes after being informed of the crash. Finally, the Russian spokesman denounced the actions of the Israeli fighter pilots – either as “lacking in professionalism” or acts of “criminal negligence.” The IAF and its superiors were therefore “entirely” to blame for the Russian Ilyushin Il-20 tragedy. The Russian report on the air disaster challenged the earlier Israeli military probe on every key point. The IDF spokesman attributed the Russian plane crash to extensive, inaccurate Syrian anti-aircraft fire, which was indiscriminate and did not ensure there were no Russian planes in the air. 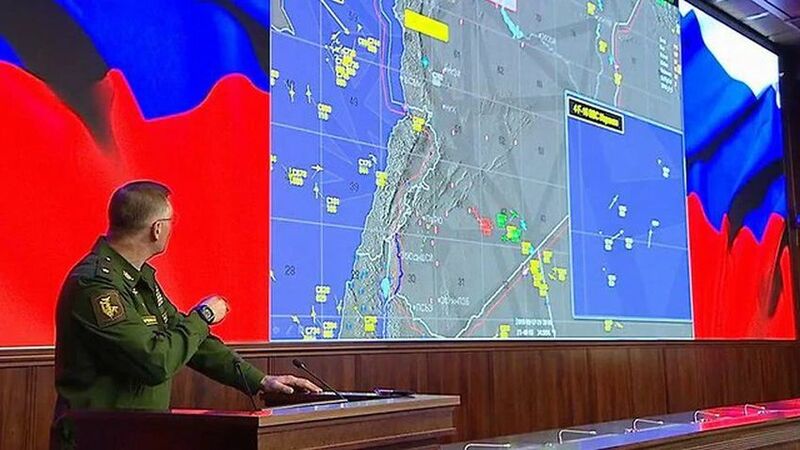 The Israeli spokesman maintained that when the Syrian missiles struck the Russian IL-20, IAF jets were already back inside Israeli airspace, and that during the Israeli air raid over Latakia, the Russian plane was not within the area of the operation.